ORLANDO -- Chances are robots aren't mowing your yard, teaching your children, or bossing you around at work – yet. But according to Gartner's annual top-10 list of strategic predictions, robots, robotic systems and automation will have an expanding role. Sooner or later, there will be robots that train your children and help them with their homework. That "might seem a little strange to us, but is it really stranger than being trained by a purple dinosaur named Barney?" said Daryl Plummer, a Gartner analyst, to the laughter of his audience at the research firm's Symposium ITxpo. "Robowriters" are already producing budget reports, sports and business reports, and this trend is sneaking in without notice. One advantage for machines: They don't have biases or emotional responses, he said. 4. 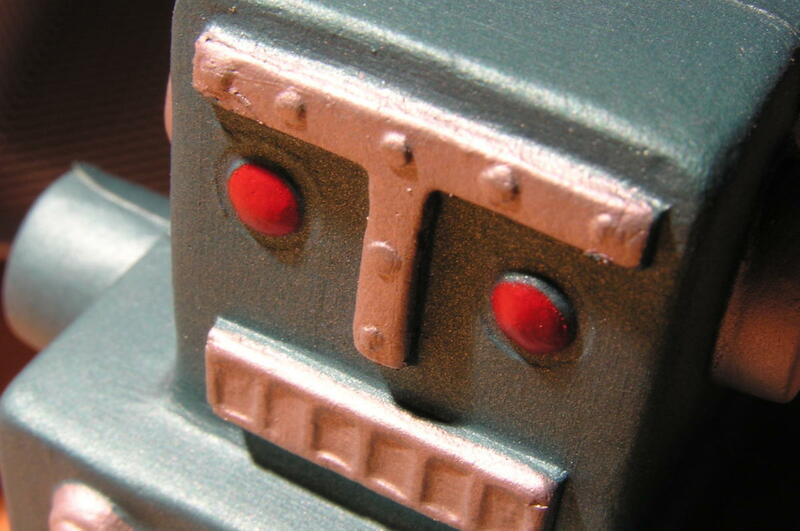 By 2018, more than 3 million workers globally will be supervised by a roboboss. "The problem with this is that robot bosses don't have human reactions," Plummer said. "The reality is we have to see if robots can get human mannerisms right." "You can't protect everything. What you must do is have an algorithm that will detect that something is wrong, and respond to correct the problem," Plummer said. 7. By 2018, digital assistants will recognize individuals by face and voice. Passwords are unworkable and good ones are hard to memorize, Plummer said. Biometrics have been around for a long time, "but they are coming on strong now." Many people are already wearing monitoring devices of some type. "We're all being monitored by something," he said. But the use of such devices also raises significant issues about whether an employee keeps a job based on fitness level. "That sounds like a violation of my rights," he said. It could be that, but the employee might also sign a contract agreeing to the monitoring as a condition of the job, he said. "The reality is you are encouraged to be healthier – you get the benefit," Plummer said. 9. By 2020, smart agents will facilitate 40% of mobile interactions. This is based on the belief that the world is moving to a post-app era, where assistants such as Apple's Siri act as a type of universal interface. 10: Through 2020, 95% of cloud security failures will be the customer's fault. It's you, not the vendor, Gartner said.